After my successful water marble with the Freckles Polish Birthday Collection, I decided to have a play around with some water marbling and the polishes that I had sitting on my desk. 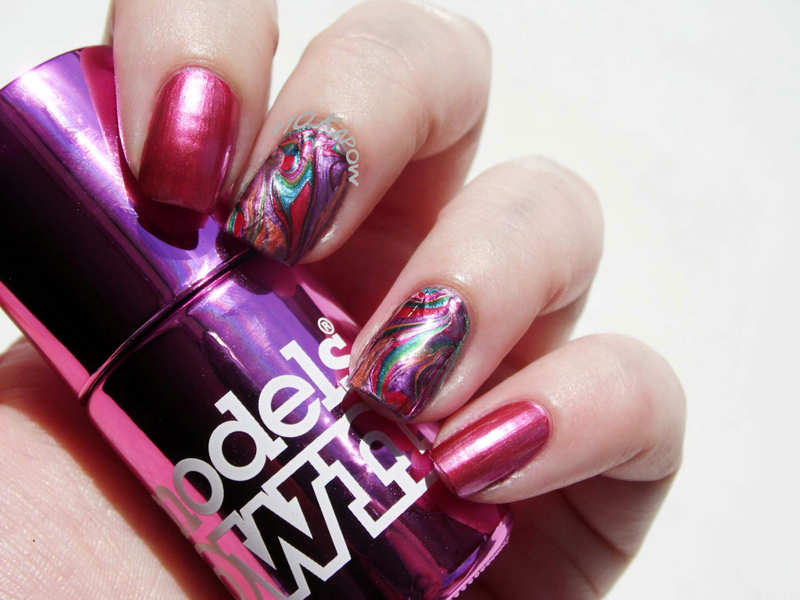 The only ones from the small selection that spread nicely were the Models Own Colour Chromes and as the title suggests, this water marble was one of those mistakes that ended up being awesome. I had tried to go for a traditional water marble style pattern but I completely fluffed it up and got annoyed, I then started moving the tool all around the polishes in anger and then realised 'ooooooo that looks pretty' so I let it dry (is that the right word?) in the water and lifted it out and left it to dry properly before cutting it up and applying to the nail. My first thought was that it looked like a Tiffany Lamp style pattern, yes I know now after double checking that it doesn't, Jim said that it reminded him of something Art Deco, either wait the colours looked awesome all swirly whirly. A little bit gutted that there were quite a few bubbles underneath but luckily you can't really see them in real life. 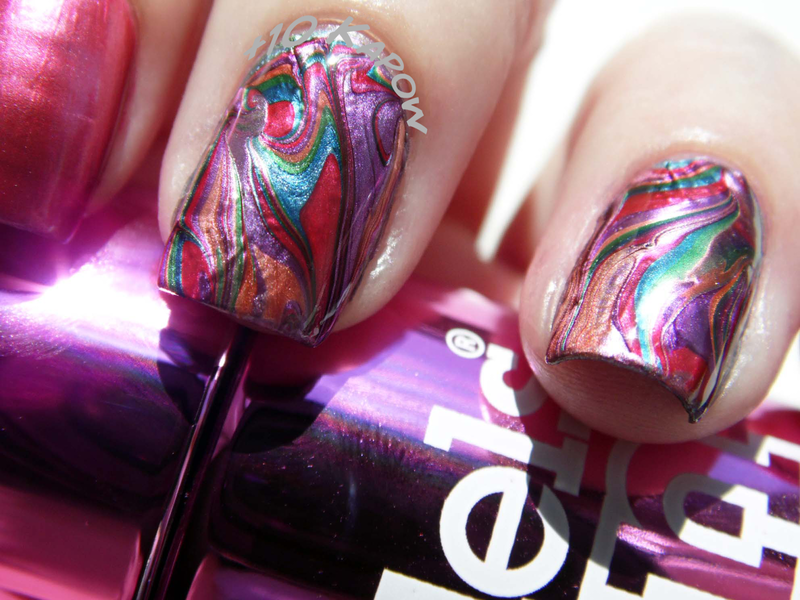 I love this so much, I'm going to try a few more designs with the water marbling and the Colour Chromes hopefully. What do you think of this look? 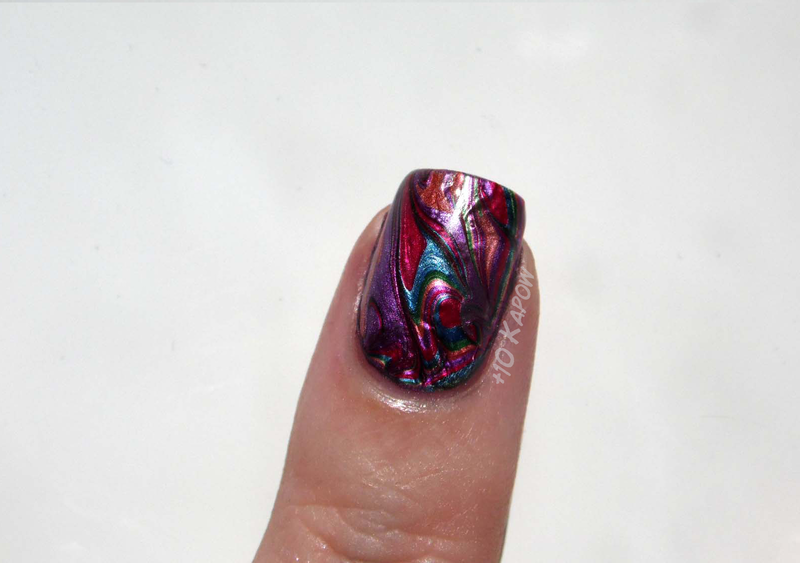 Have you ever had a beautiful mistake in nail art?